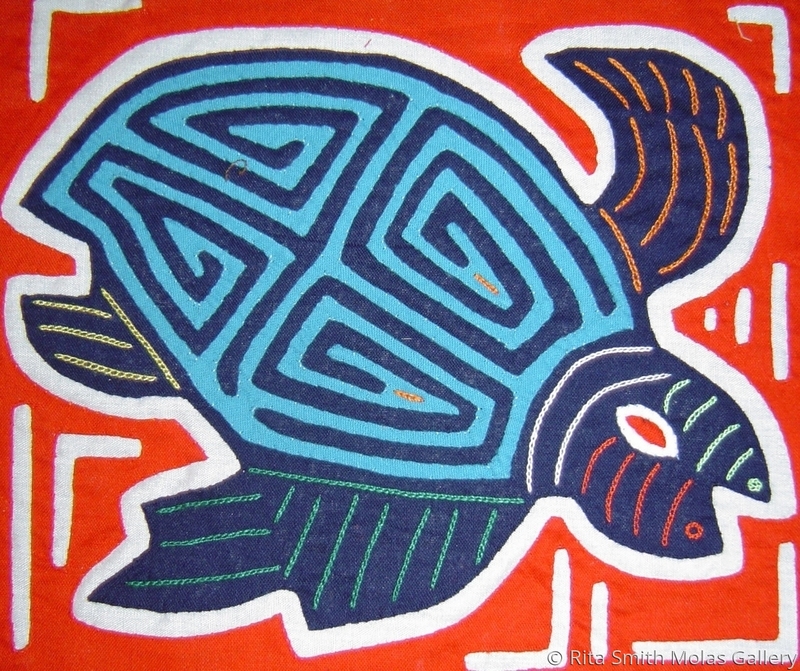 This mola depicts a beautiful Turtle molita. Add a Kuna mola or molita to all your quilting and craft projects, endless opportunity to express yourself... Perfect square panel... Quality: Superb Quality Size: 8" x 8" Number of Layers: 2 Layers Background Color: red Technique: Applique Stitching: handstitched Artist: Kuna Indians of San Blas Panama Condition: no holes, no tears, no dust or stain. Beautiful stitching and details. Full of vibrant colors! !